Wild Horizons and Save the Children Australia are very excited to announce that The Highland Fling, one of Australia’s largest, longest established and most iconic mountain biking events, will be going ahead for its 13th edition on 12 November 2017. It is planned that this will be, after all those years, The Final Fling. ‘Save the Children Australia is very excited to be the charity partner of The Highland Fling mountain bike marathon. 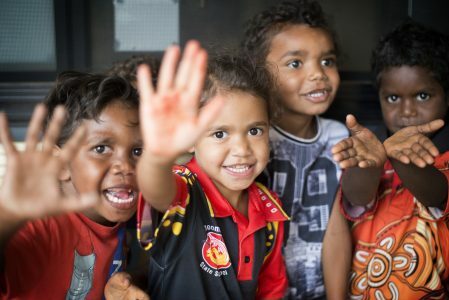 The funds we receive from the event will support our work in Australia and overseas, giving children a healthy start in life, the opportunity to learn and protection from harm. ‘For over a dozen years The Highland Fling has brought together an incredible community of riders, supporters, sponsors, local community groups and local businesses to celebrate a festival weekend of all things MTB. It has put millions of dollars into the regional economy and offered a fundraising platform for numerous Southern Highlands community groups, the community in which we live. A number of factors saw us consider cancelling the 2017 event. We’d lost a couple of key sponsors for 2017 and had also had enough of the seemingly endless inefficiencies of our local Council. However part also related to my own personal priorities changing; a desire to spend even more of my energy engaging with the pressing issues of plastic pollution, children suffering disadvantage, and of course my own outdoor adventures and journeys. Hopefully the event will go out with a bang and raise a substantial amount for Save the Children Australia. In addition to the proceeds of the event going to the charity, there will also be plenty of opportunities for personal fundraising. However amongst this good news is some sad news. In 2015 the Fling weekend grew to include the Bundy Run, a trail running event showcasing the delights of Morton National Park on the edge of Bundanoon. This young event attracted a new outdoor audience and saw a solid increase in numbers year-on-year. However the loss of that event’s headline sponsor last year due to their moving out of the running market (and with no replacement on the horizon) has meant that the financials do not stack up from a fundraising perspective. It is with a very heavy heart that we announce that the Bundy Run will not take place in 2017. We would like to thank all those runners who have supported that event in the past two years. Wild Horizons would like to say a big thanks to everyone and in particular our sponsors for bearing with us whilst decisions were made. We look forward to seeing you at The Final Fling!